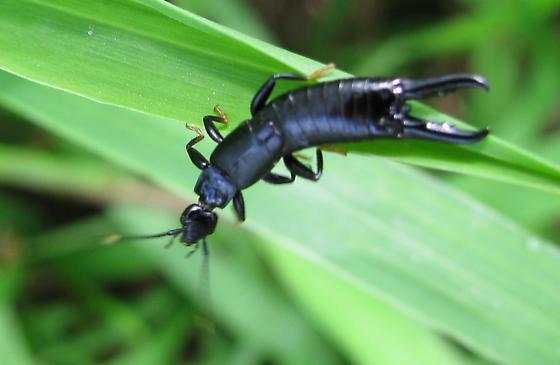 Found in Hawaii, it fits as the family Chelisochidae, Black Earwigs, of which there is one species: Chelisoches morio. Native to tropical islands in the Pacific, but has become established in California. (Borror and DeLong, 7th Ed). I have not seen any in California before, but the book claims they're here! The question of whether we should include images from Hawaii has never been settled, but since this species has been reported from California and Florida, there's no problem either way with using these as placeholders until mainland images show up.